55 years separate these photos (see previous) of the same spot. In 1932 came transformation. 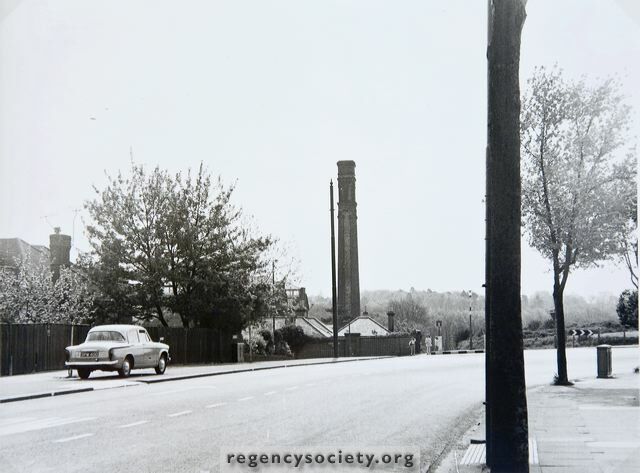 The narrow road was replaced by the wide present Nevill Road and the first houses were built at the lower end between Old Shoreham Road and Orchard Road, though it was not until 1934/5 that the houses came round the bend. The growth of trees prevents a comparison of the backgrounds. Date of photograph 17 May 1970.